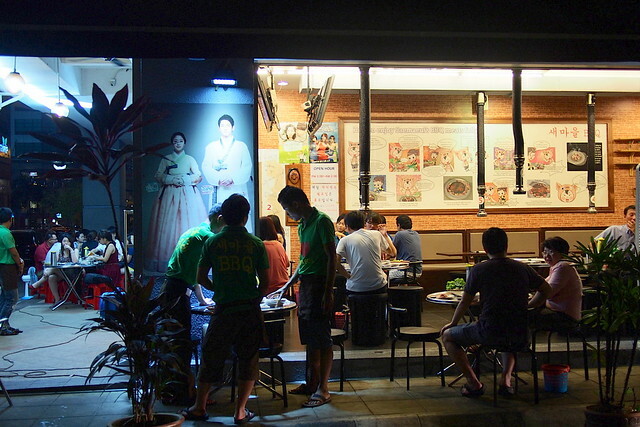 Whenever we’re at Solaris Mont Kiara, we often pass by a Korean barbecue restaurant around the corner on the way out. 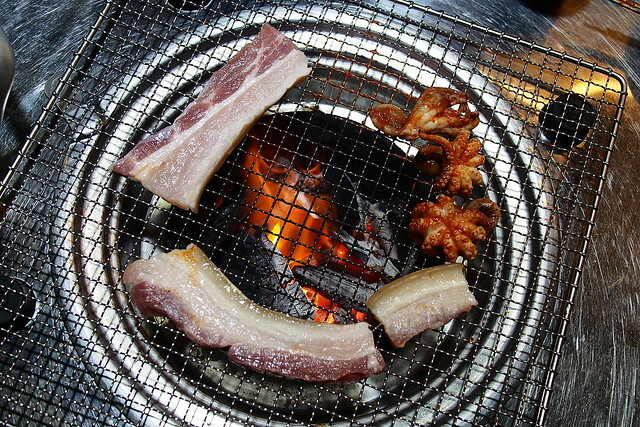 This place is often packed to the brim, with patrons sharing side dishes and grilling meats over the charcoal-fired pit. “The food must be good,” I told KampungBoy. The curiosity got the better of us so we found ourselves dining here on a Thursday night. As Stanley Baldwin once quoted, “I would rather trust a woman’s instinct than a man’s reason.” My instinct was proven right after all, as we had a great dining experience here. 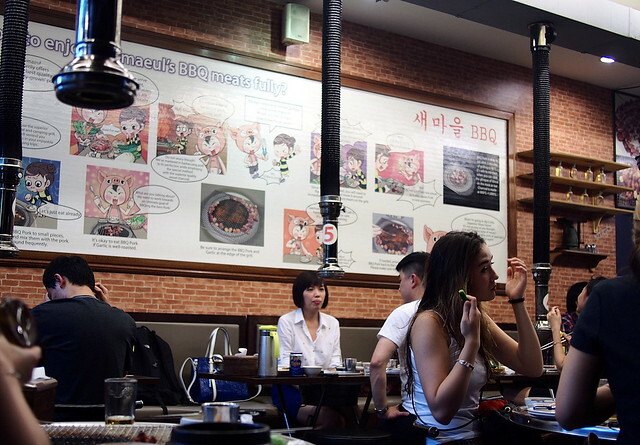 Sae Ma Eul exudes a casual vibe, from the exposed brick walls and extensive dark wood, to the stainless steel tables and cute comic strips on the wall, illustrating the 101s of perfecting barbecued meat. 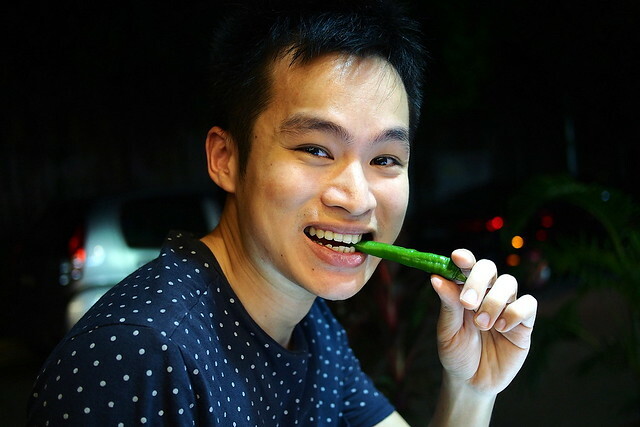 The menu is simple but includes almost everything from seafood and poultry to vegetables and carbohydrate dishes. 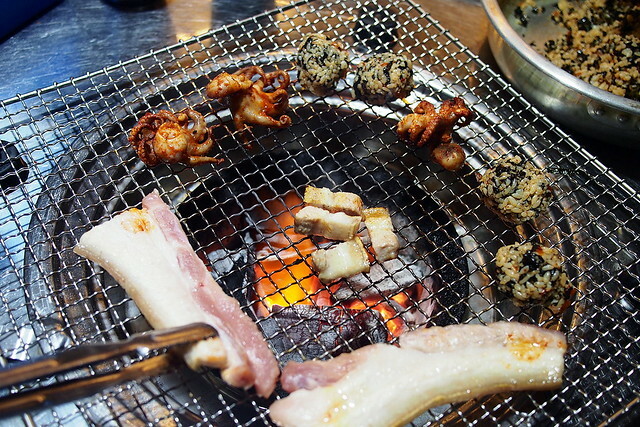 We ordered the famous grilled baby octopus (RM23) and pork belly (RM20) for barbecue. 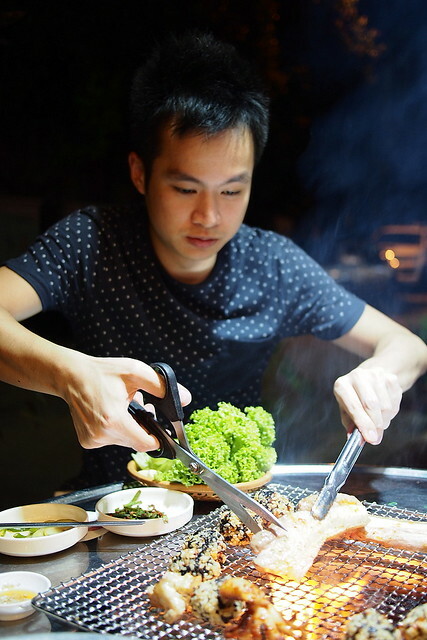 Otherwise if you are a company of three or more, do order the BBQ set meal (RM55) which caters to 2–3 pax and it comes with sliced pork belly, pork shoulder, and grilled baby octopus. 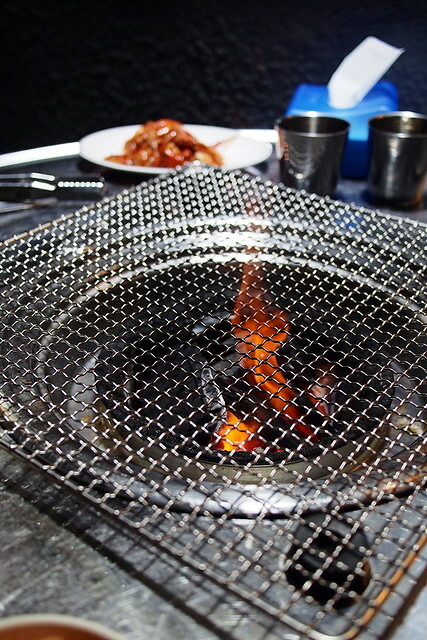 Sae Ma Eul still uses real charcoal pits in the centre of each table, which infuses those splendid cuts of meat with a hint of smokiness that one just can’t get from a gas grill. 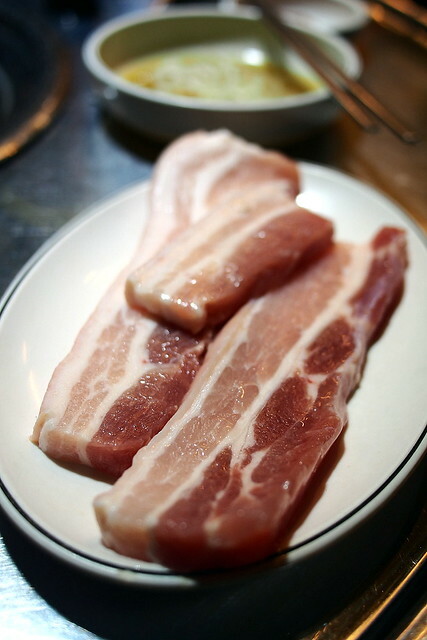 I liked how the pork belly was an actual massive slab of meat, rather than the standard thinly sliced meat. 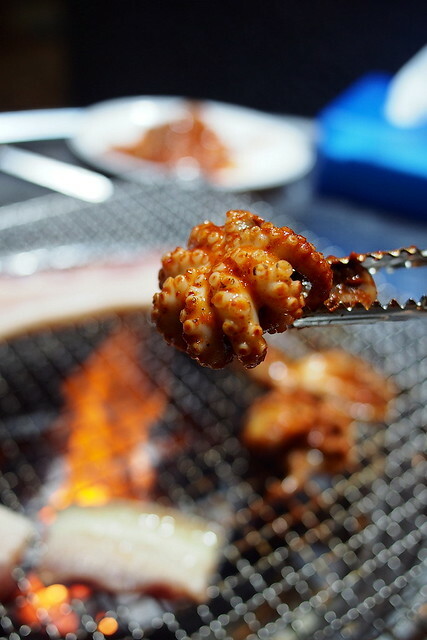 The baby octopus had incredible flavour and it was pleasantly chewy but not tough. The special marinade gave it a sweet and spicy flavour – very addictive! Choirutan Jumoekbab (spicy rice ball, RM20) is another must-order item here. A combination of rice, seaweed, Korean chilli paste, and chili flakes; it reminds me of onigiri. 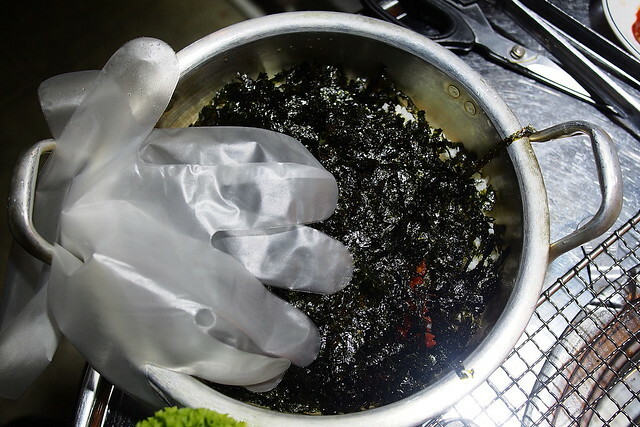 The rice dish came with a pair of disposable gloves, as patrons are required to shape the rice balls themselves. We wore the gloves provided, stirred and mixed everything together, and pressed the rice into the form of rice balls. We grilled the rice balls over the charcoal fire and the result? Crispy, almost burnt rice crust that gives way to fluffy white rice when you bite into them. It is truly, a fantastic invention. As we left, our clothes were positively reeking of a meat-and-charcoal smell. Despite that, it was a great and cheap meal. We paid RM63 for all that food, and it is more than enough for two or three persons. We will definitely return whenever that Korean food craving hits! Tried it and it was the worst Korean restaurant Ive ever tried. You probably havent tried authentic Korean food in Korea but this restaurant is just a pocketful of shame. I will never ever go back here ever again. 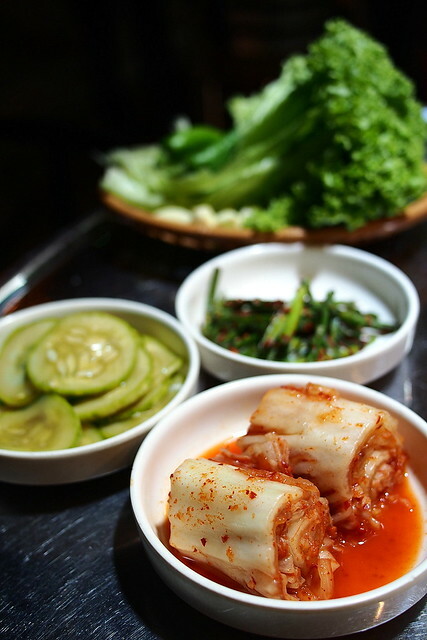 The Samgyopsal and the Dwaeji Galbi as well as the kimchi lacked flavour and the sides were limited. I just tried this a few minutes ago based on your review and I am unhappy that I’ve followed your recommendation. I’m sorry that you did not enjoy the food here. 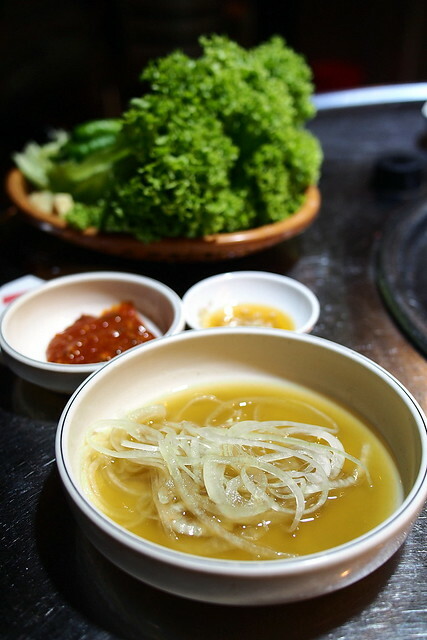 I have been a paying customer to sae ma eul for many times, and I personally like the food.